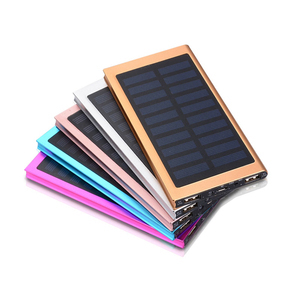 1 YRS Dongguan Lingsheng Electronics Tech Co., Ltd.
Portable Solar Power bank Ultra Thin Aluminum Alloy 10000 mah External Battery Charger for Smart Mobile Description : 100% new and high quality. New Style, High-Grade Appearance, Fashion Design; Large Capacity, Can Meet Multiple Phone Charging Tasks; New Energy, Solar Charging. High Conversion Efficiency, Long Life, Compression, Wear, Non-slip. Logo: We can print your own logo on our products or design the logo for you. Package&color: We can design the package and color according to your demands. 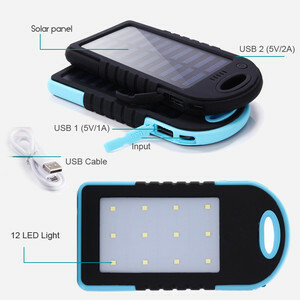 In the past few years, more than 12 million power banks sold to foreign countries. 5 YRS Shenzhen Wanyelong Solar Technology Co., Ltd.
2 YRS Shenzhen Keyway Electronic Tech Co., Ltd. There are several different voltages optionable 7. 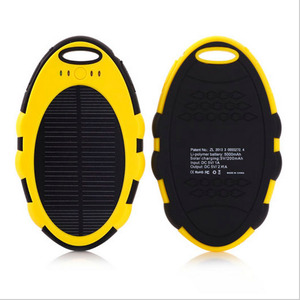 Safety for use Equipped with an over-charge protection which effectively extending the battery life,make you use safely. 1.About Sample: We can provide u the sample with our cost and u can choose the freight by yourself(We can talk detail about the logistics charge)! Please remember to click "Contact Supplier" or "Chat now" for more detailed information, we promise to reply within 2 hours of working time! 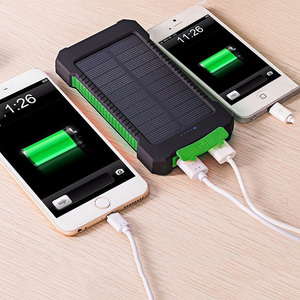 6 YRS Shenzhen Yasen Technology Co., Ltd.
4 YRS Guangzhou Allpowers International Industrial Ltd.
Real 4 Folding Solar power bank 10000mAh Rechargeable External Solar Battery charger for mobile Phones Attention: 1. 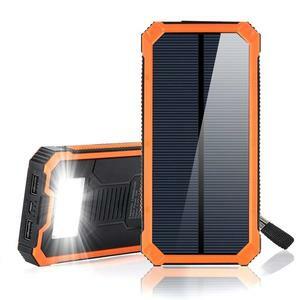 Please charge it under STRONG sunlight, do not charge it in cloudy day or the place through glass(e. net ), founded in October 2008, it is a professional manufacturer dealing in solar epoxy cell,solar chargers and solar portable system. Q3. Can I have a sample even pre-production before I send you the order9 A: Yes, We can send you samples for your approval first. 2 YRS Shenzhen Bestworld Technology Corporation Ltd.
Bestworld Corporation Ltd would offer the products of superior quality and competitive price accompanied by a very accurate service. Packing & Delivery Packing 1* Ploybag 1*USB cable 1*white paper box Delivery Air freight: 3-5 working days With years of export experience along with excellent quality, advanced services and competitive prices, Bestworld has won numerous customers' trust and support. With years of export experience along with excellent quality, advanced services and competitive prices, Bestworld has won numerous customers' trust and support. 2 YRS Shenzhen Yale Electronics Co., Ltd.
1 YRS Shenzhen Aisaien Electronic Co., Ltd. Hot Products Main Products 1. Q: Are you a factory9 A: Yes, we are more than 10 years factory, specializing in electronic products. 3. Q: Can I print my logo on the product for mobile phone9 A: Yes, we can customize your logo and OEM box, we have much experience in OEM service. 4. Q: Can you do my design of product for mobile phone9 A:Yes, we have strong research & developing team, we can provide one-stop ODM service for you. 5 YRS Shenzhen Hengfengyuan Technology Co., Ltd.
1)-5 years manufacturer,2 years export trade. 4)-Prompt Reply Within 12 Hours. 5)-Sample time: within 1 to 3 days. 9 YRS Shenzhen Highway Technology Co., Ltd.
it is easy to connect by using USB cable to connect charger and equipment 5). Proforma Invoice confirmed, the order will be arranged upon recipt of your payment. Confirm and ship the goods, then tracking number will be sent to you promptly. 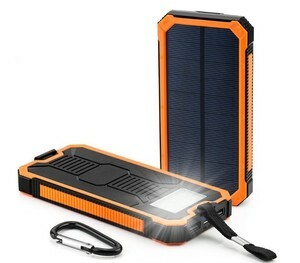 Alibaba.com offers 40,015 solar power charger for batteries products. About 47% of these are power banks, 2% are charger. 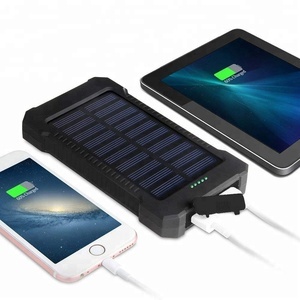 A wide variety of solar power charger for batteries options are available to you, such as 9001-10000(mah), 15001-20000(mah), and 5001-6000(mah). You can also choose from black, multi. As well as from free samples, paid samples. 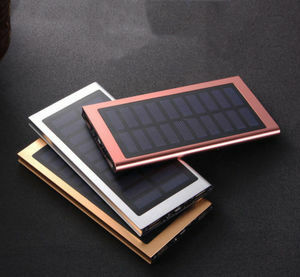 There are 40,015 solar power charger for batteries suppliers, mainly located in Asia. 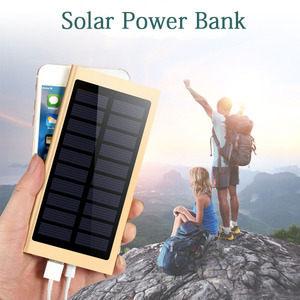 The top supplying country is China (Mainland), which supply 100% of solar power charger for batteries respectively. 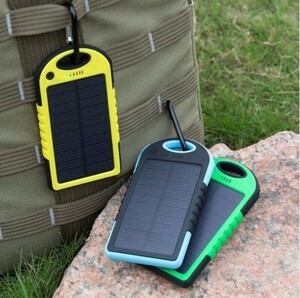 Solar power charger for batteries products are most popular in North America, Western Europe, and South America. You can ensure product safety by selecting from certified suppliers, including 14,198 with ISO9001, 6,350 with Other, and 3,271 with ISO14001 certification.